Where do we turn when our hopes are dashed, when we look at best-laid plans and see only shattered dreams? 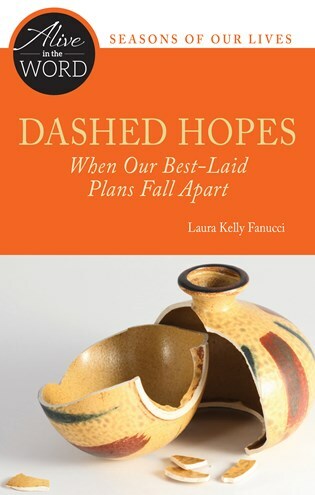 With fresh perspectives on Jeremiah's plans for "a future of hope," Jesus' agony in the garden, and Isaiah's promise of "a way in the wilderness," Laura Kelly Fanucci offers hope for those wondering what comes next when life feels broken. Laura Kelly Fanucci is the research associate for the Collegeville Institute Seminars. She is the author of Mercy: God's Nature, Our Challenge in the Alive in the Word series, Everyday Sacrament: The Messy Grace of Parenting (Liturgical Press, 2014); and the co-author of Living Your Discipleship: 7 Ways to Express Your Deepest Calling (23rd Publications, 2015). She blogs about spirituality and parenting at www.motheringspirit.com.